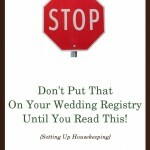 Non-traditional options for the giving of the bride are plentiful. After all, anyone can just make one up! However, if you are looking for a non-traditional style but don’t want to create the language yourself, here are nineteen options. Interested in something more traditional? 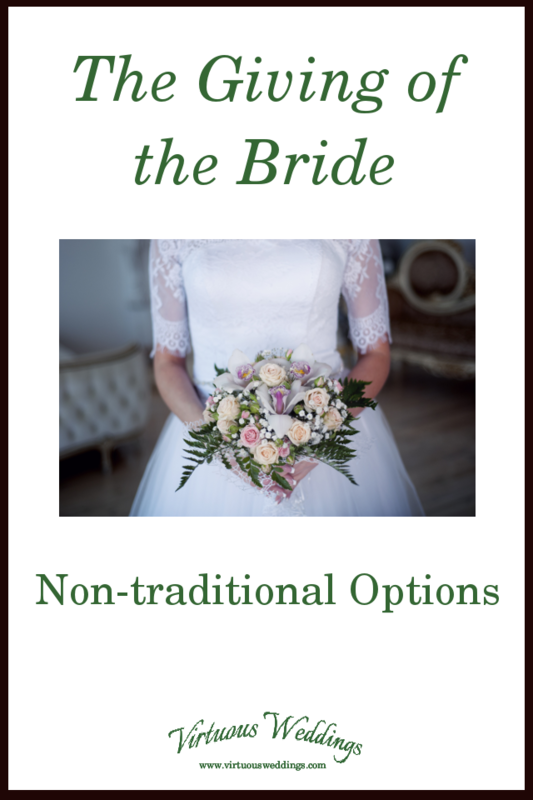 The Giving of the Bride: Traditional and Traditional Style Options. Father does the giving and the answering . . . Both parents do the giving but the father does the answering. . . Both parents do the giving and the answering. . .
Other options . . . Choose one of these, or create whatever you like!